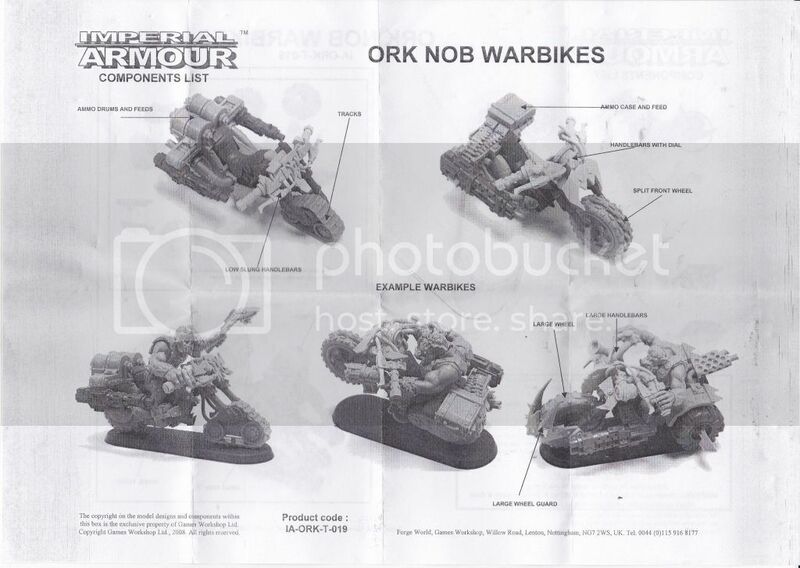 I was lucky enough to get a deal on some ork Warbikers and the FW Ork WarBoss on Bike. However they have come sans assembly instructions. 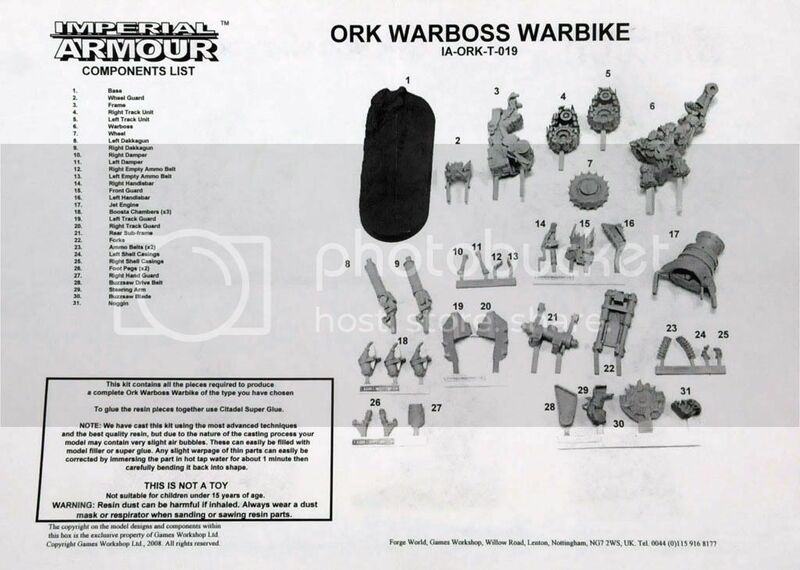 While some of it is logical (yeah right, says my four armed ork), some of it is not. 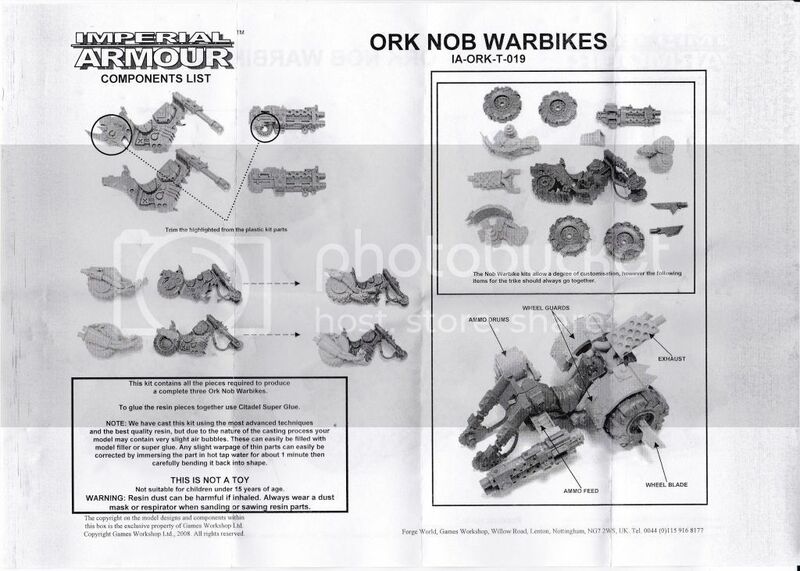 Does anyone happen to have images of the instructions or a link to decent ones that this blind old Ork can use? True meks don't need instruktions though! Just bash it 'till it fits! That is awesomely helpful, thank you Jackcloud! Help yourself to some extra teef! That is fantastic resource Lucio. Thanks as well. That page is so getting saved. 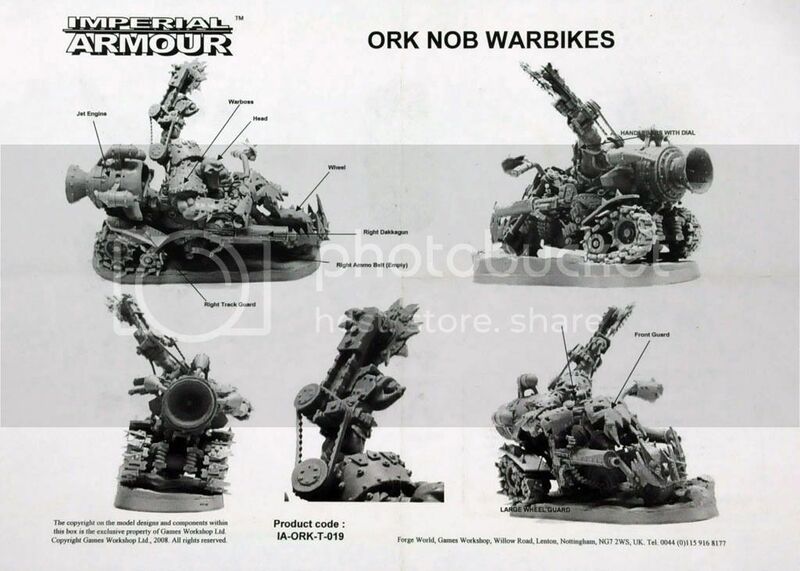 Disclaimer: All rights reserved by Games Workshop, I accept no responsibility! Awesome, thank you Big Mek Rekkcrasha. Very good quality images and handy as.